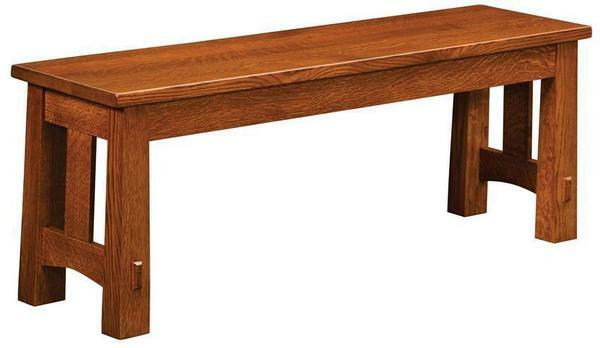 This Amish Modesto Mission Extension Bench looks great with our Modesto Mission Leg Table or the Modesto Mission Trestle Table. We also have Modesto Mission Dining Room Chairs and Modesto Mission Bar Stools to complete the look. You can order this Mission bench with a solid seat or up to four 12" extensions. Order online or call one of our Amish furniture specialists today with assistance on ordering our Amish Mission furniture.